Sales Advice Not Swiped From Other Books! He's been called "The Professor of Harsh Reality" because he reaches salespeople in the tough world they occupy. 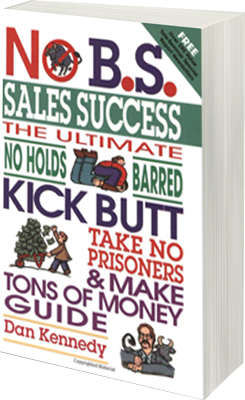 He offers a set of no-BS strategies for overcoming obstacles to success, many of them self-imposed. Provocative, sarcastic and irreverent, the book reads like the seminars he conducts around the world-events that cause a stampede to the back of the hall for his materials after he finishes.